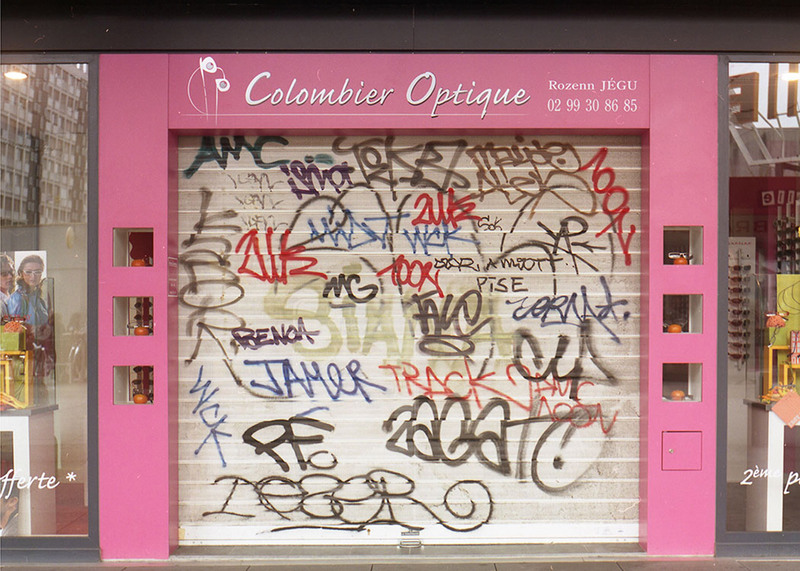 French artist Mathieu Tremblin has translated scrawled graffiti into legible typography, as part of his Tag Clouds project (+ slideshow). 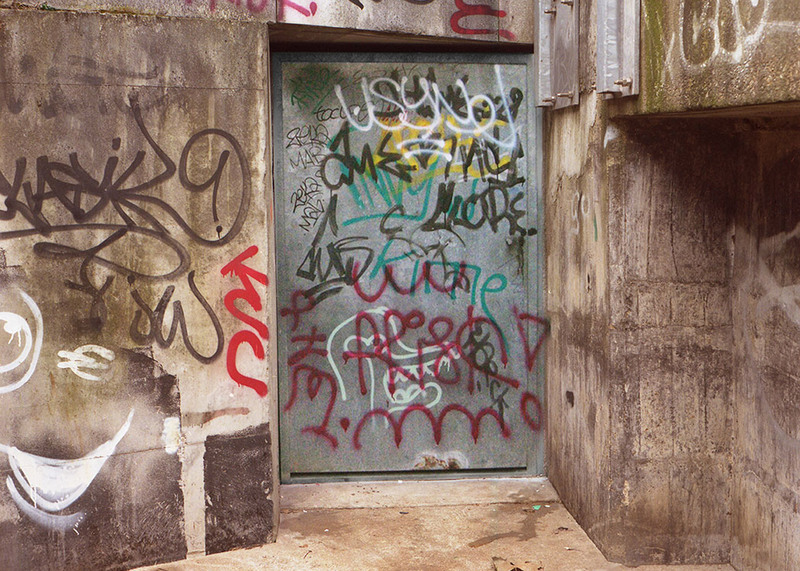 Tremblin uses stencils to convert each graffitied signature into precise lettering. 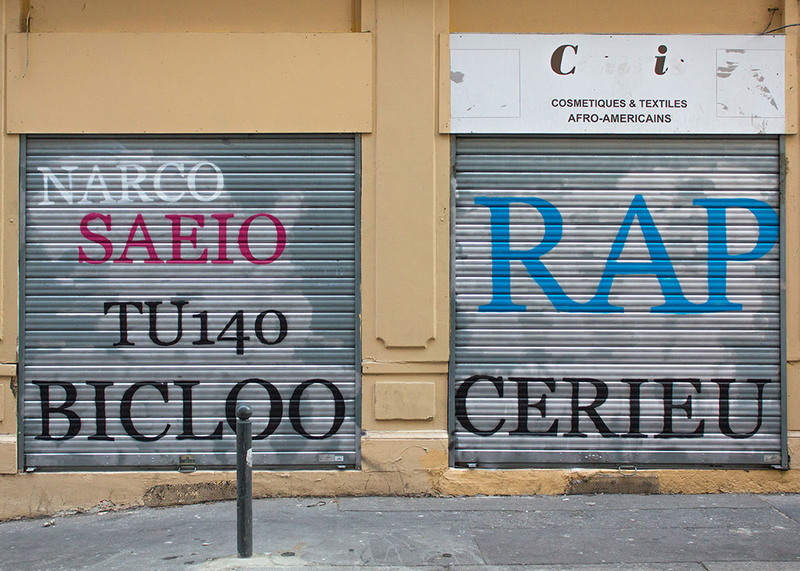 He applies the same typeface for each collection of tags and keeps their original positioning. 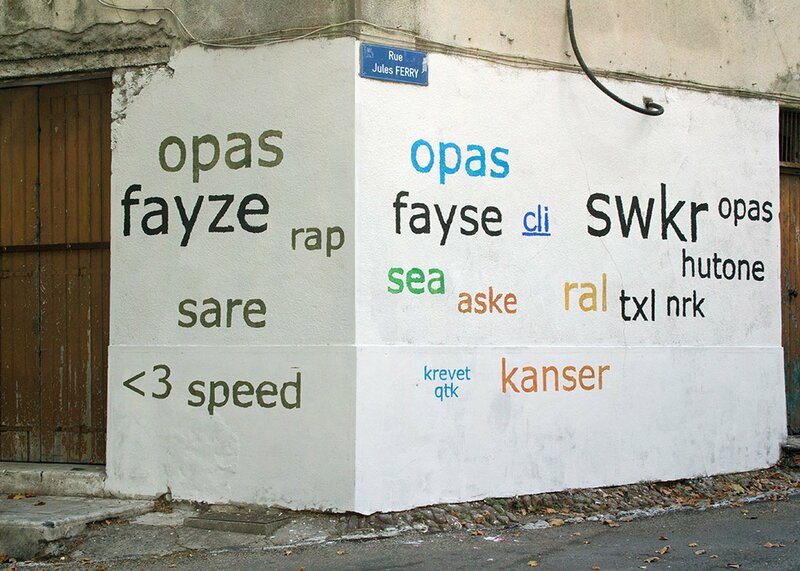 The pieces, which resemble word clouds, set out to make the signatures of graffiti artists more readable, thereby encouraging passersby to take more notice of them. 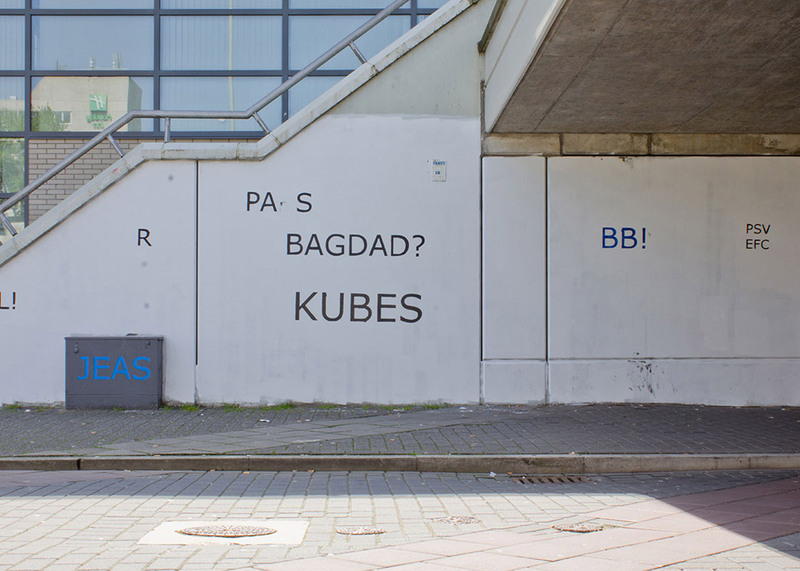 "It shows the analogy between the physical tag and the virtual tag, both in form and in substance," said the artist. 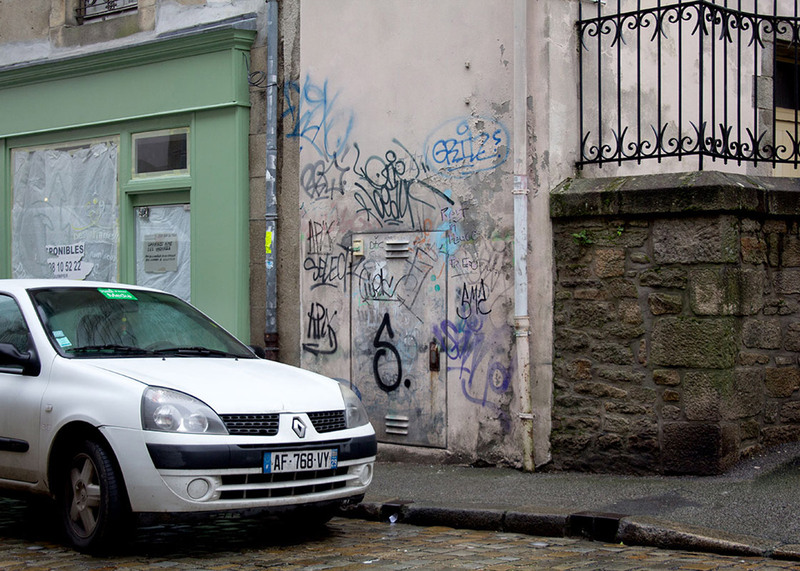 "Like keywords, which are markers of net surfing, graffiti are markers of urban drifting." 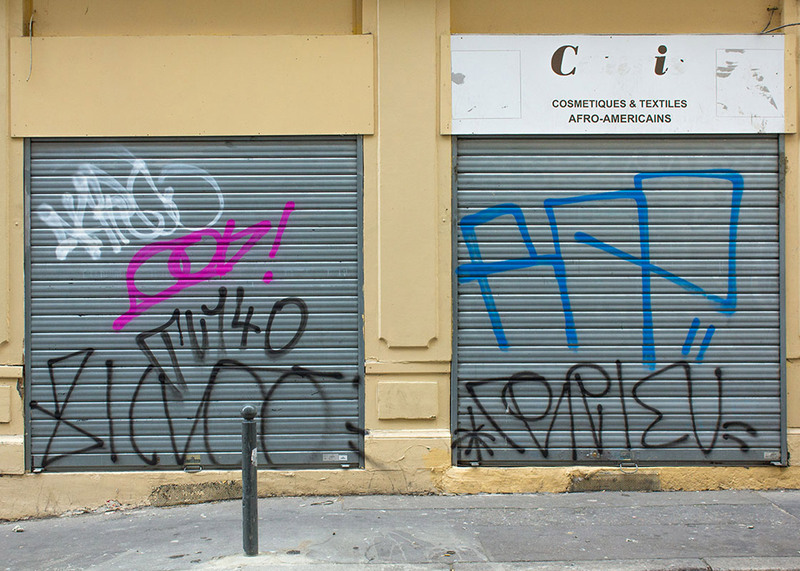 In his process, the artist first covers the original tags, which are often hastily spray-painted onto walls. 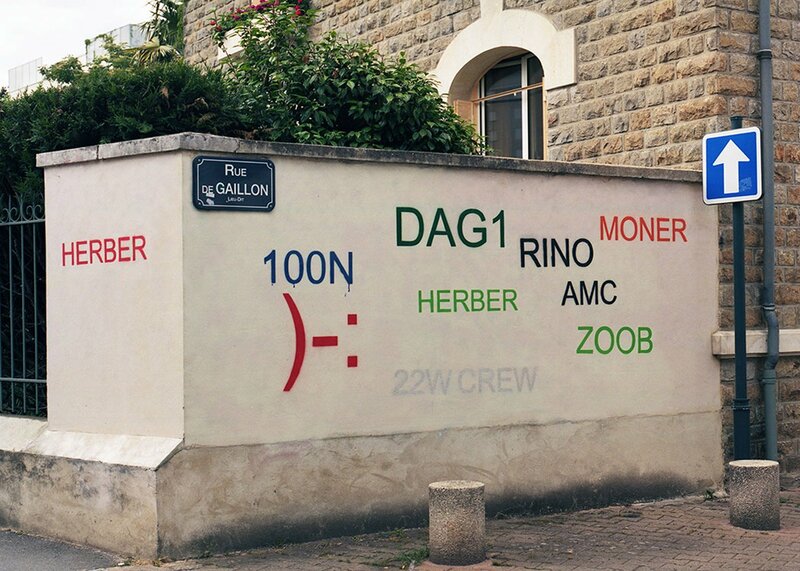 He replicates the colours of the signatures and replaces graffiti faces with emoticon versions formed using punctuation. 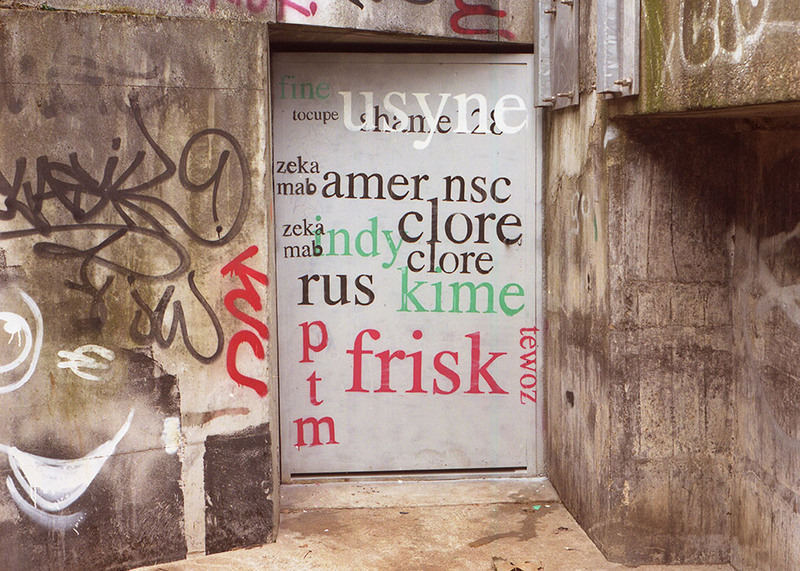 Tag Clouds relates to an earlier project by Tremblin, which similarly replaced graffiti writers' signatures with a legible version. In that instance, he used blue type, referencing hyperlink text often found online. 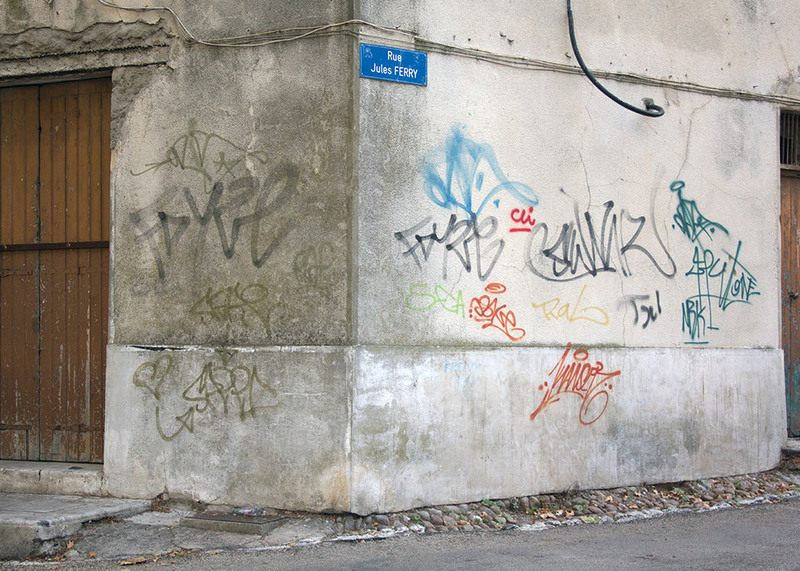 The artist's approach goes against generally accepted graffiti etiquette, which frowns on the practice of covering another artist's work. 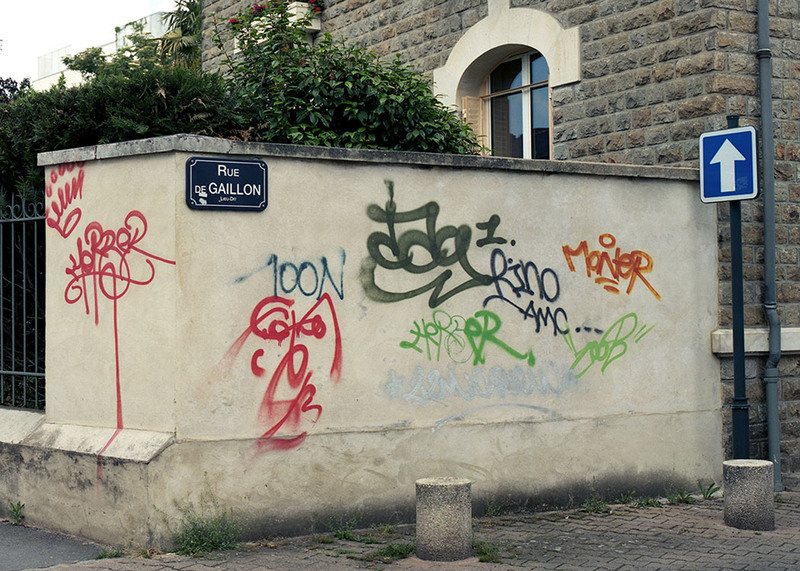 "Spontaneous graffiti writing became the ugly duckling of art in the city," the artist said. 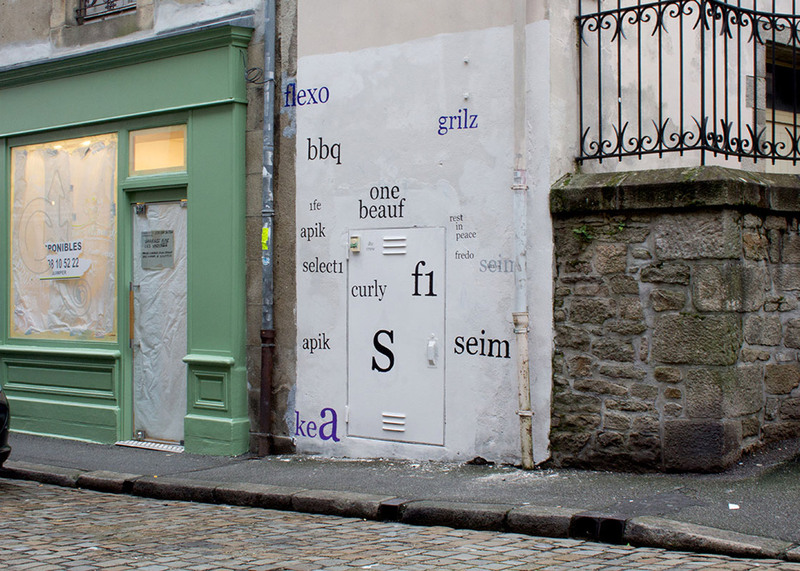 "With Tag Clouds, the idea is to make a tribute to spontaneous writing, in order that inhabitants accepts its visual presence by reading it." 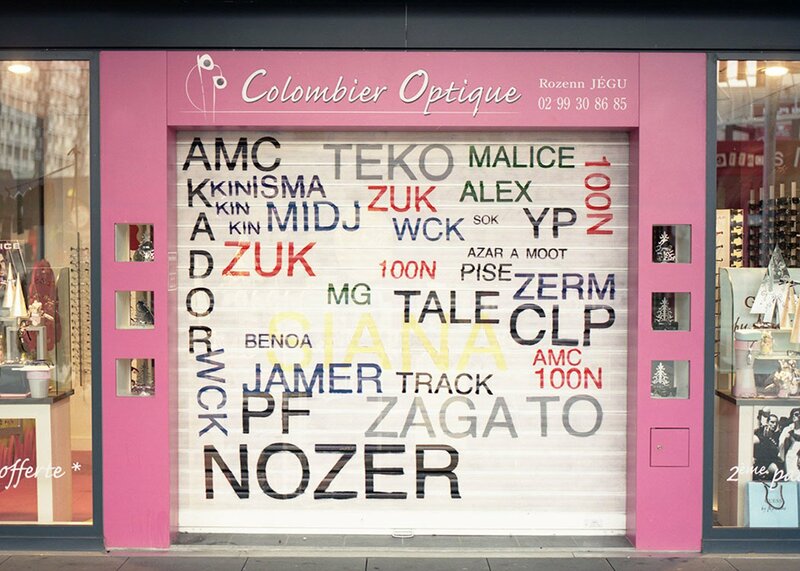 Other typographically inspired designs from this year include BIG's modular lighting system, which can be rearranged to form different letters of a typeface, and Fiona O'Leary's pocket-sized font detector.